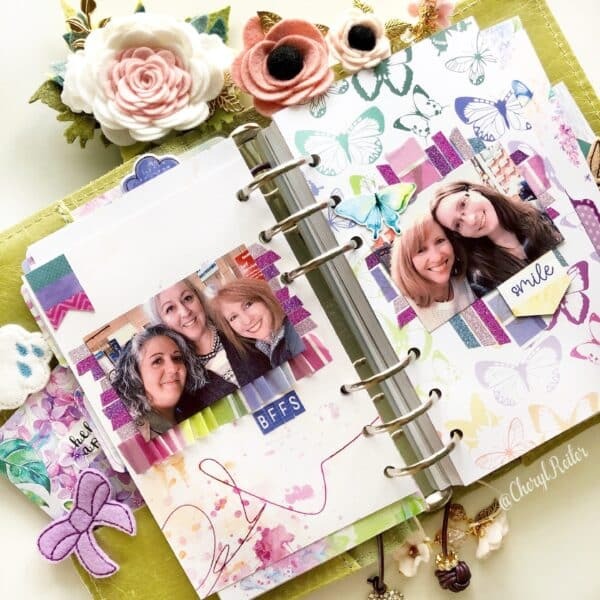 Have you ever wondered how you are going to be able to use all those beautiful die cuts? I love to use them and want to share a few tips as to where you can add them! 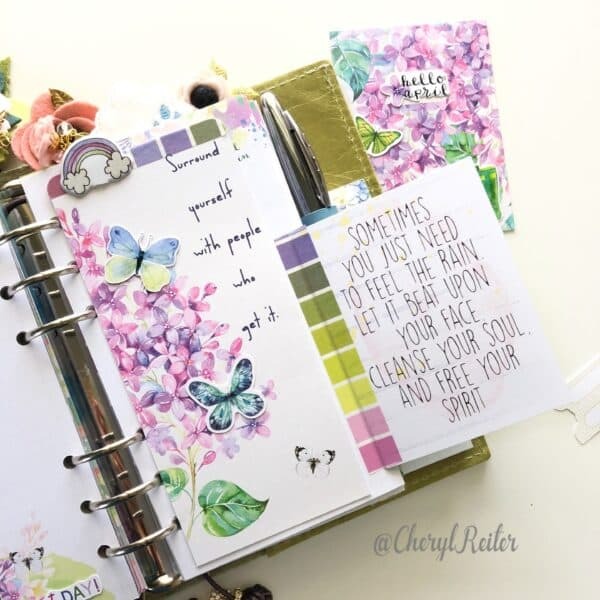 In this post, I used the Personal Ring-Bound Planner Kit, the Planner Add On Kit, the Day Planner Dashboards, the Planner Classified Kit and the Pocket Cards. 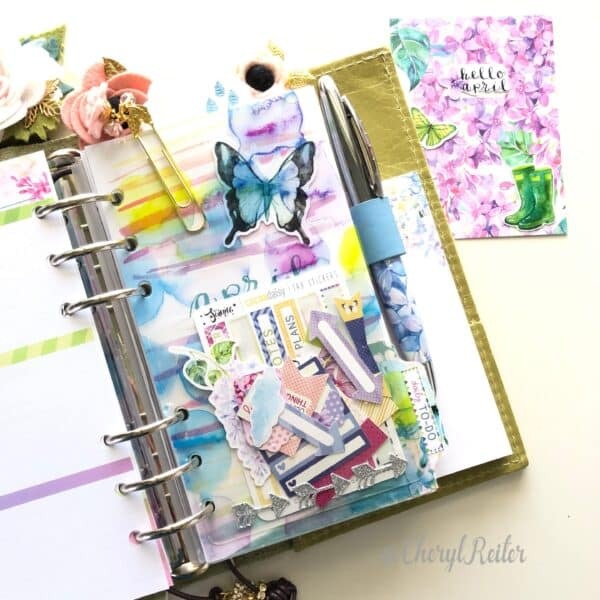 You can easily use the same techniques in your Dori Planner. 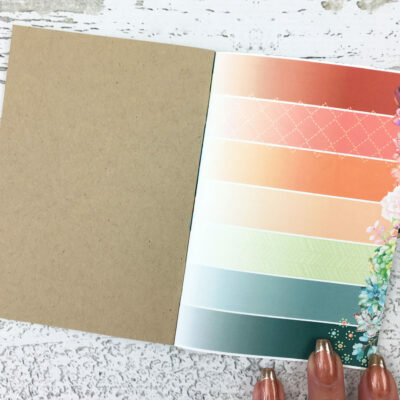 The Lilac Planner Kits can be found HERE. I used the included patterned card stock and a 2 x 3 card along with a Pocket Card to make a decorated dashboard. I was able to use two die cuts plus a tab on the front and additional die cuts and a Pocket Card shown below. 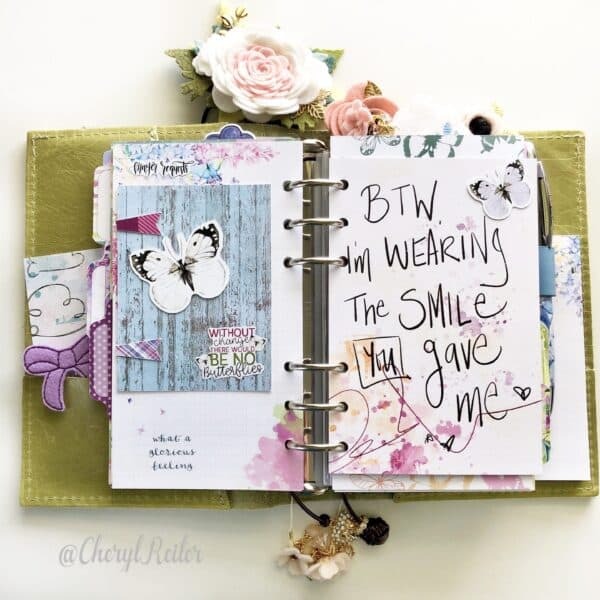 The right side of my planner is a weekly Monday – Sunday that I use as a gratitude/thankful journal entry on a daily basis. 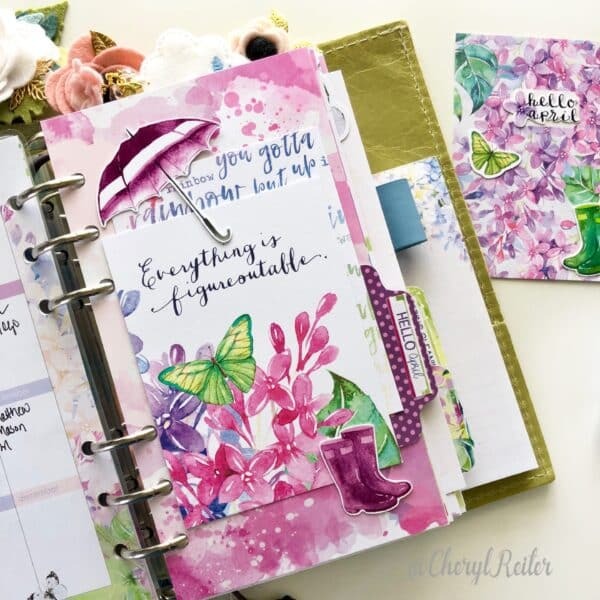 I was inspired by Daisy Planner Design Team Member Jennifer Crowder Miller. 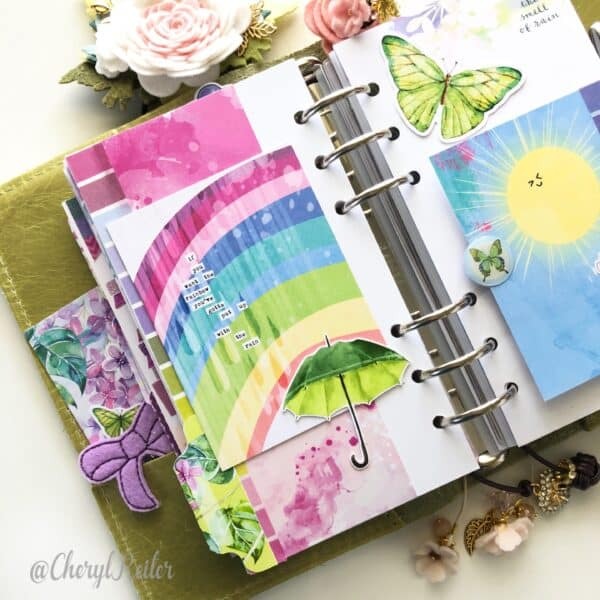 These pages are another great place to add stickers and die cuts. I added a tip in on the left side using the angled die cuts, folding them to create hinges. The right side is a 4 x 6 Pocket Card that I hole punched and inserted as an additional page. The left side of my planner is the reverse of the 4 x 6 card from above. It made a perfect place to add a photo and another little die cut. On the left is a dashboard made from the patterned card stock with a pocket card, die cuts and washi tape. 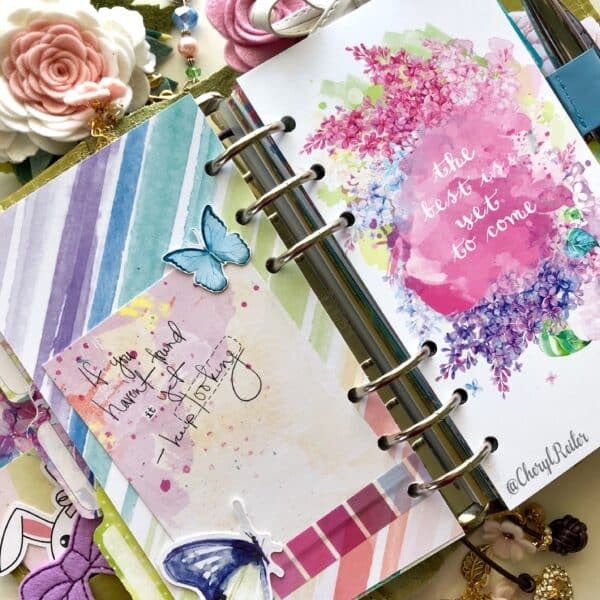 Adding the little decorative pieces here and there as you plan really adds a personal touch to your planner. I added another tip in here with washi tape adhering it on both sides (front and back). I also made a bookmark with a dashboard, die cuts and I cut one of the puffy stickers apart to make a topper. This is a page made out of acetate from the Classified Kit. I cut it to size, hole punched it, and added an adhesive pocket. 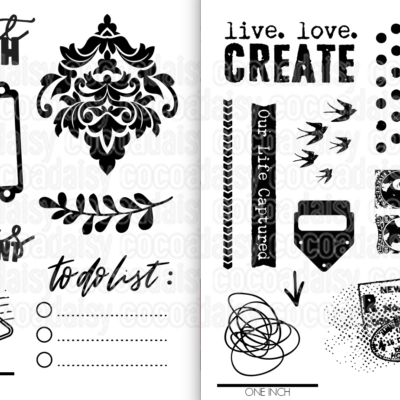 I placed all the remaining die cuts from the kits inside to use as I finish my journaling. 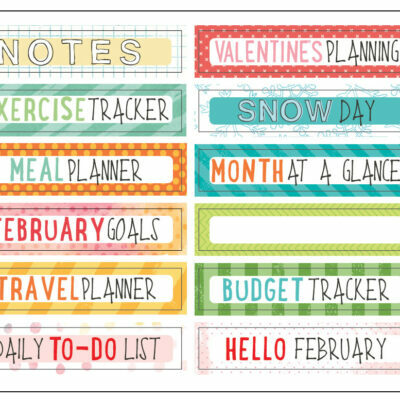 I posted my YouTube video below so that you can see more of my planner/memory keeper and all of the ways that I used the die cuts/stickers. You can also find me on Instagram HERE. I hope you found some useful tips. 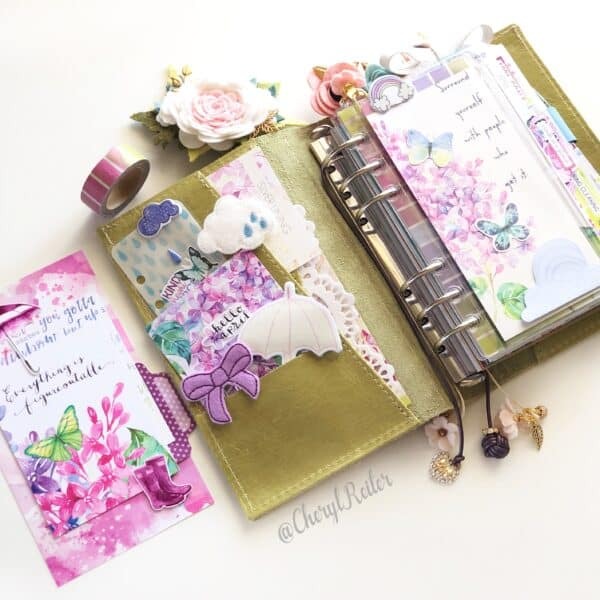 April Creativity with the Pocket Memory Keeping kit. Using the die cuts as hinges is such a fabulous idea! 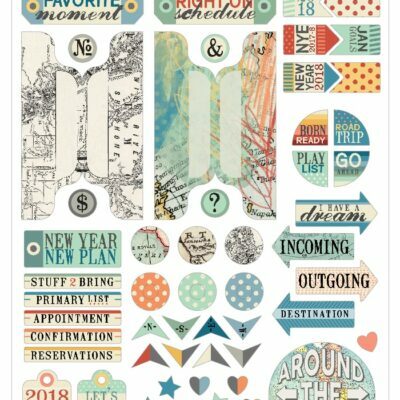 Thank you for sharing so many wonderful ideas for using the die cuts. I loved them all!